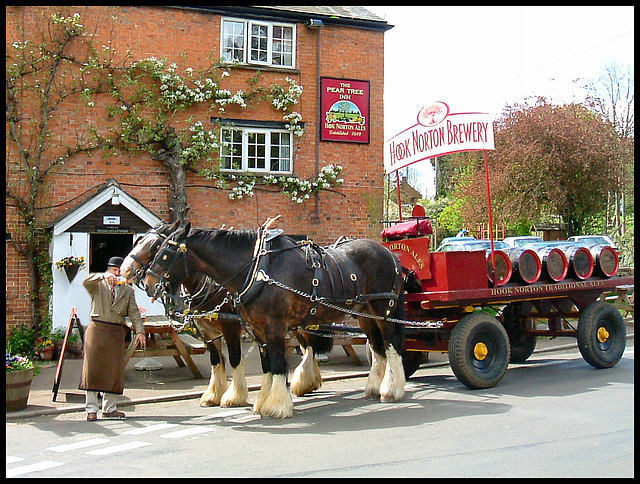 The Shire Horse is a powerful Draught Horse used in farming and military for pulling heavy loads. The origin of the Shire Horse dates back to a cold blooded heavy horse first mentioned in around 1066 probably brought into England after the Norman Conquest. From this developed the "English Great Horse". The Packington Blind Horse Stallion is recognised as the father of the Shire Breed. He came from Packington near Ashby de la Zouch Leicestershire between 1755 & 1770. He was black and appears in the first 'Shire Stud Book' and large numbers of horses are descended from him. The English Cart Horse Society was founded in 1878, later changing its name to the Shire Horse Society. The early years of the Society encouraged the export of Shires and in 1888 issued a record breaking 1,400 pedigree export certificates. 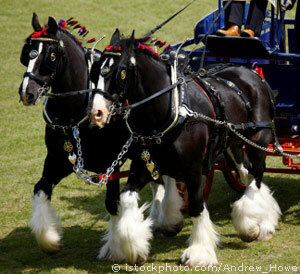 Shires were in strong demand in the USA, Canada, Australia, South America, Germany and Russia. 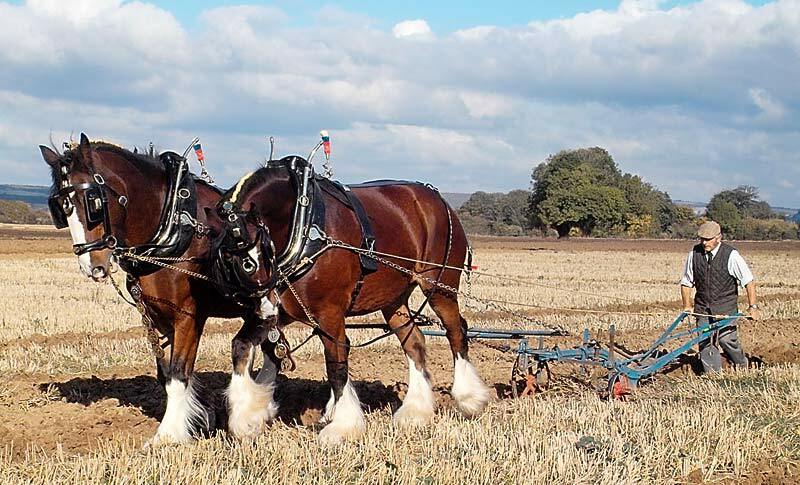 Both in commerce and agriculture Shire horses literally made the wheels of Britain's industry go round. They worked in fields, in towns, on docks and quays, on canal towpaths, for mills and railways. Their numbers ran into millions.